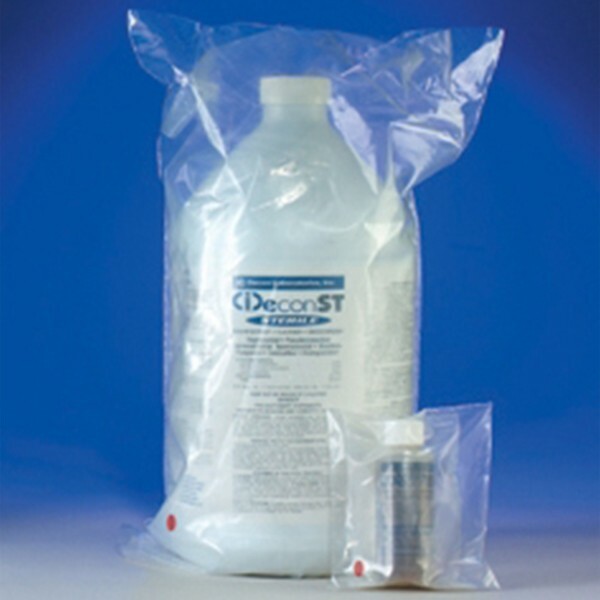 CiDecon® ST Sterile concentrated phenolic disinfectant is individually double-bagged, gamma-irradiated and tested to ensure sterility. Diluted at a ratio of one ounce per gallon (1:128), CiDecon® ST provides broadspectrum efficiancy against a wide variety of organisms, including TB, in the cleanroom environment. 20 oz. SingleServ™ is premeasured to make 2 gallons of working solution at the correct dilution. Conforms to OSHA's Bloodborne Pathogens Standard. Each case is shipped with a Lot Specific Document detailing parameters of QC, irradation and sterility. EPA registered.